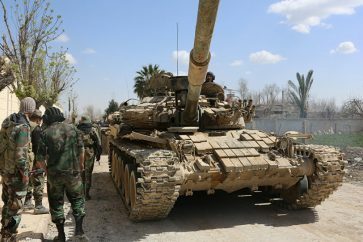 Units of Syrian Army operating in Hama countryside pushed ahead with military operations against dens of terrorist groups along the administrative border with Idlib province, inflicting heavy losses upon terrorists. 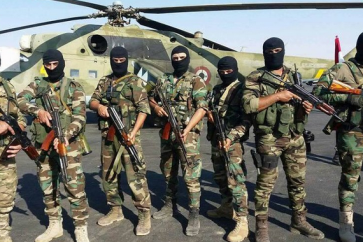 SANA’s reporter in Hama said that army units carried out intensive operations against sites of “Turkistan Party” affiliated to Nusra Fronton the eastern side of al-Ghab plain in the villages of Waset, al-Mansoura and al-Ziara. Units of Syrian Arab Army continued advancing to cleanse Sweida Badia (Desert) from ISIL terrorists. SANA’s reporter in Suwaida said that army units, backed by supporting forces, advanced in the direction of Sad al-Zalf, Toluol al-Dab’a, al-Dabia, Alam, al-Safa and Arad al-Keraa, establishing control over new areas in the depth of 40 km in the eastern countryside of Suwaida which led to enhancing the security in the area. 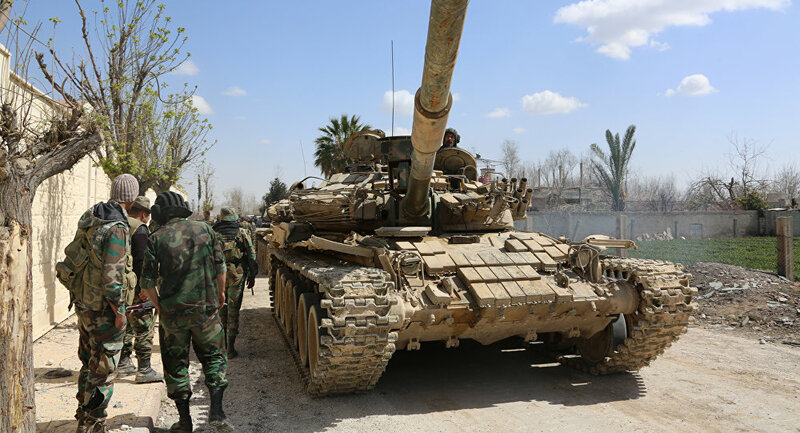 In parallel with the clashes, the army’s artillery and Air Force launched strikes on ISIL positions in the area, killing many of them and destroying their vehicles and equipment.